Smart PC users take screenshots instead of giving wordy explanations. 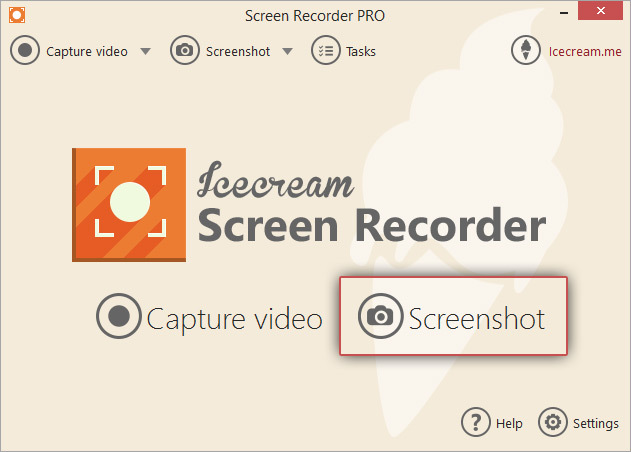 There are several ways to take a screenshot on a PC, and Icecream Screen Recorder is one of them. What’s so special about this program and why choosing it instead of taking screenshots in a standard way – by pressing the Print Screen button on your keyboard? 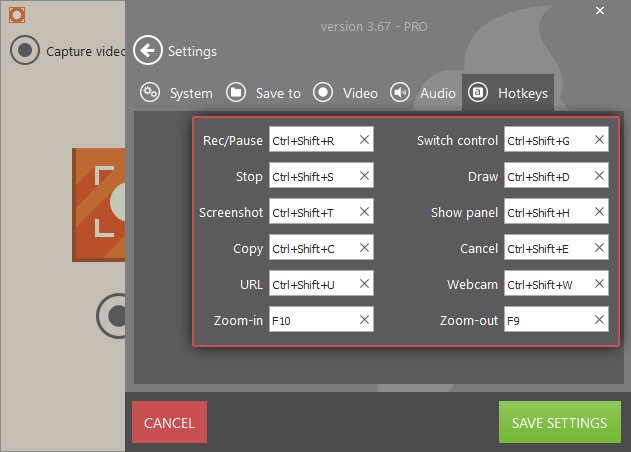 The point is Icecream Screen Recorder offers a number of special options that makes taking, saving, editing and sharing screenshots as easy as one can imagine. Check this article to learn more about the program. Firstly, download Icecream Screen Recorder. Simply click the “Download” button on this page and save the installation file. Then, run the file and install the program as suggested by the Installation Wizard. This is pretty much all you need to start using the application. Just open the program and give it a try right off the bat. The “Settings” button in the bottom right corner will bring you to the Settings panel where you can tweak some configurations for your screenshots. First open the “System” tab of the panel and select the output image format of your screenshots (PNG or JPG) in “Screenshot format” option. Then decide if the pop-up notification windows should be shown by this screen recording software – that's the “Show notifications” option. 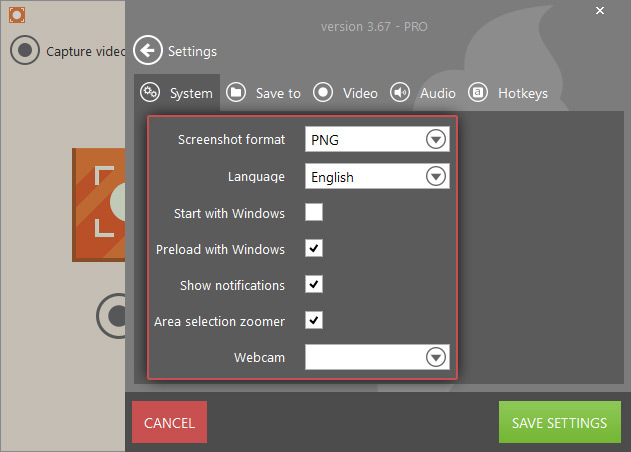 Turn on or off the zoomer that is useful for the most accurate selection of the frames of the screen shot area - “Area selection zoomer” option. Check the “Save screenshot to” option in the “Save to” tab to select the output folder to which the created screenshots will be sent. In the “Hotkeys” tab you can check and change the hotkey combinations for easier working experience. 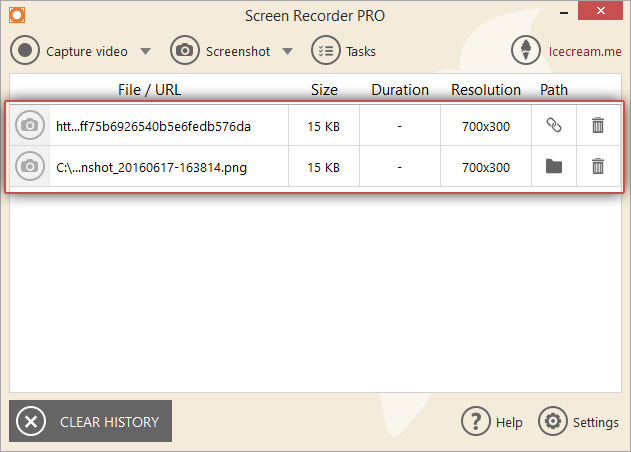 One of the advantages of Icecream Screen Recorder is the fact that unlike standard “Print Screen” method that captures the whole screen, this application offers the ability to take screenshots of a desired size and choose certain areas of your screen. So, click the “Screenshot” button right in the center of the program's main window to select the area of your screenshot. Now, select the screenshot area by toggling the cursor over the desired section of your screen. Once the area is chosen, simply release the mouse. 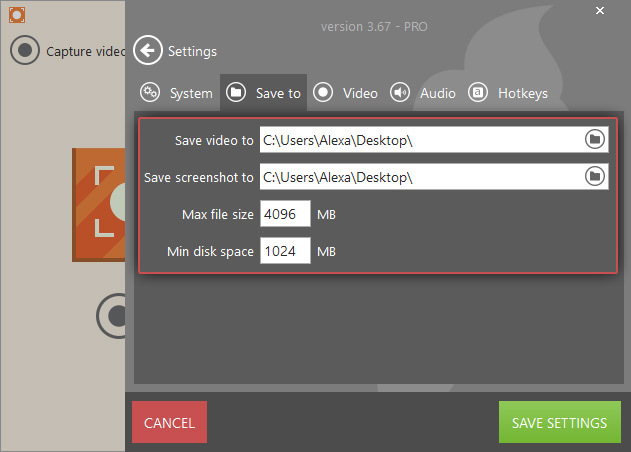 You can choose the parameters like custom, full screen, 960p, 720p, 1024x768p, 640x480p, 320x240p, and 160x120p on the screenshot panel. 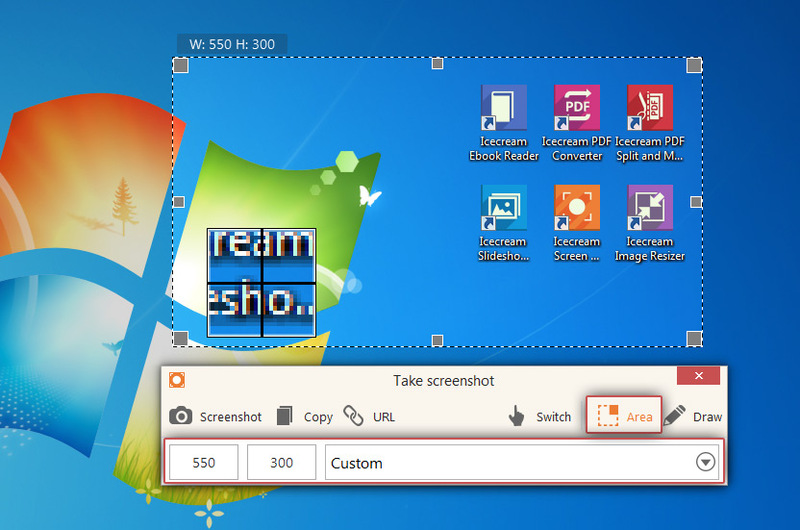 You can customize the screenshot area at any time before the screenshot is taken, the only condition is that the “Area” button should be active at that time. You can use the drawing panel to mark something on your screenshot or make it more vivid. To access this panel, click the “Draw” button on the right-hand side of the screenshot panel. In here, you can pick a tool, for example a standard drawing brush, and also tools like oval, rectangle, step tool and arrow. You can select one of 3 contour thickness options and also choose the color. It’s possible to add some text to your screenshot as well – click the corresponding button presented as the “T” icon, select the desired font size (from 8 to 34) and color just like you normally do while using other text editors and single click on the area where you want to add your text. After that, you can type anything you want within a selected area. To cancel the last changes, use the “Undo” button in the right-hand side of the drawing panel. The “Clear all” button located next to the “Undo” one will help you remove all the drawings and text from the screenshot at once. Screenshot. To save your screenshot as a PNG or JPG image, simply click the “Screenshot” button in the upper left corner of the task panel. Copy. 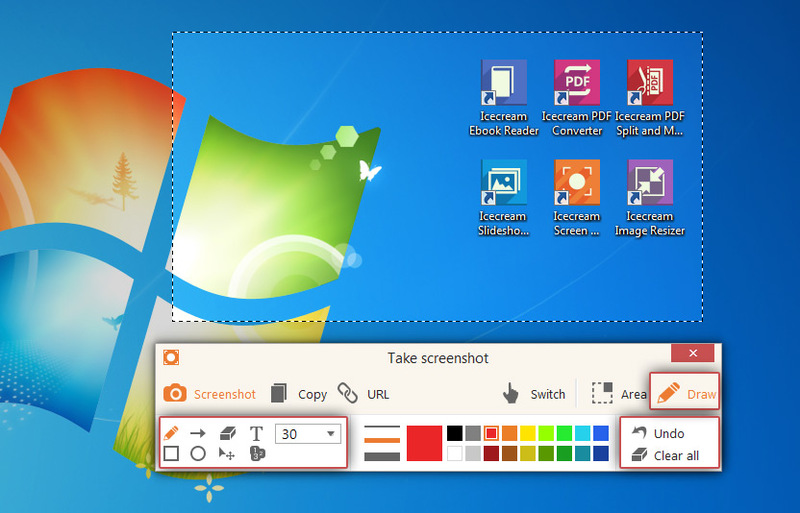 By clicking this button, you let the program to save your screenshot to the clipboard. After doing so, you can press CTRL+V to paste the screenshot wherever you want. URL. This button helps you turn the screenshot into a link that you can copy and share later. This is another advantage that makes Icecream Screen Recorder stand out from the crowd. Indeed, sharing a URL is much easier than sending images. The good news is none of your links will be lost - you can go back to them whenever you want from the main window where they are all saved in a form of a chart. You can click the recycle bin icon on the right of a certain URL or an image to delete it from the list or press the “CLEAR HISTORY” button in the bottom left to remove all the items from the History panel at once. And that’s how you take a screenshot on a PC with Icecream Screen Recorder.